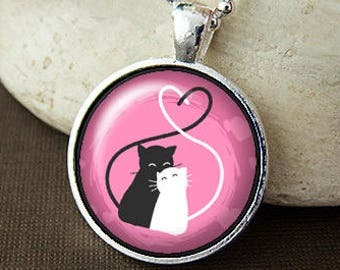 A custom pendant necklace featuring any image of your choice! 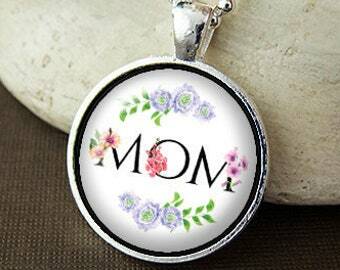 Your image will be sealed under a 1" glass dome and set in a shiny silver plated tray. 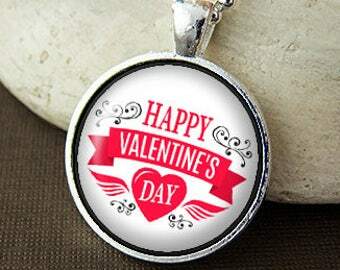 1) Once you've purchased your pendant, please contact me to send me your image file. You can attach a high resolution file to the message (look on the bottom right corner of the message window to find the attach image link). I will need a high resolution file of the image. If you are scanning the image, please set your scanner to scan at 300dpi. Also, please list any custom text details in the "message to seller" box at checkout. 2) I will then work up a proof based on your specifications and message it to you for approval within 48 hours. Please check your Etsy message for this proof. 3) Once you approve the image, I will then start to make your order. 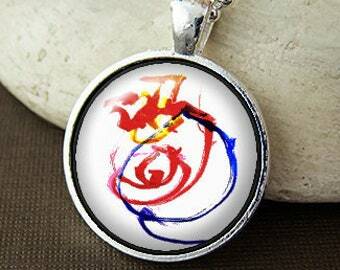 Pendant images are individually printed and sealed under a glass dome cabochon by hand. The circular cabochon measures 1" (25mm) in diameter and is set in a shiny silver plated tray. Listing is for the pendant. I offer a 24” ball chain or key ring at no extra charge. Ball chain necklace can be trimmed to desired length easily with scissors. Genuine black leather necklace upgrades are also available. Leather cord measures 3mm in diameter and has a lobster clasp enclosure. 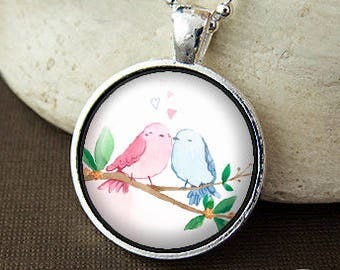 Pendants are not waterproof so please protect your pendant from water. 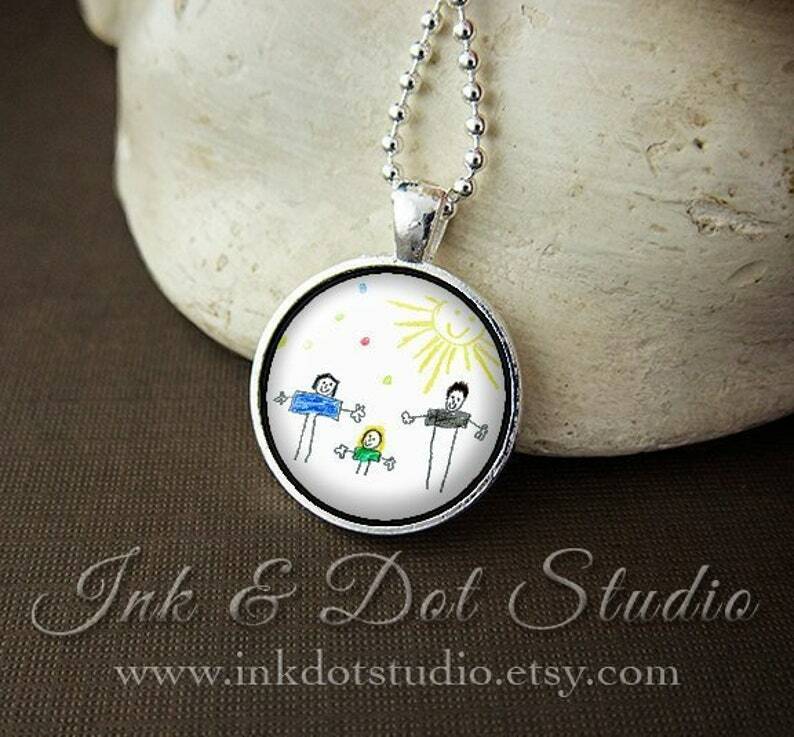 The majority of the designs in my shop are customizable. If you have an idea, send me a message and I'll see what I can do! All items are made to order and will be ready to ship within the processing time frame stated in the shop announcement. Shipping upgrades are available to add on to order during checkout. ** Please note that shipping upgrades do not make orders “rush orders”. Please note that I calibrate my designing and printing systems to ensure color accuracy from design to print on my work system. Other monitors and devices may not display the colors in this listing exactly the same as mine. Color on the final product my slightly vary from what you see on your screen.